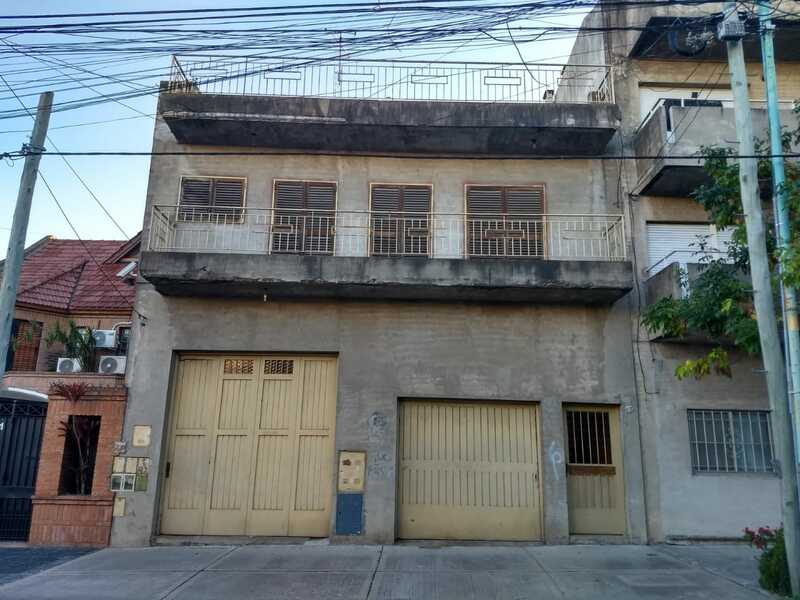 CASA EN VENTA IDEAL DOS FAMILIAS SOBRE CAFAYATE AL 4600 ENTRE CHILAVERT Y BARROS PAZOS. LOTE DE 8,55 X 22M. AL FRENTE GARAJE Y LOCAL AMPLIO CON BAÑO. EN P.B CON ENTRADA POR PASILLO DEPARTAMENTO DE TRES AMBIENTES CON LIVING COMEDOR AMPLIO, COCINA GRANDE CON LAVADERO BAJO ESCALERA, DOS DORMITORIOS, BAÑO COMPLETO Y BAÑO AUXILIAR, DOS PATIOS, Y TERRAZA DE TODA LA SUPERFICIE. MUY BUEN ESTADO GENERAL. EN PLANTA ALTA DEPARTAMENTO DE TRES AMBIENTES A TERMINAR CON DOS DORMITORIOS, COCINA GRANDE, LIVING, BAÑO, BALCÓN AMPLIO A LA CALLE Y OTRO AL CONTRAFRENTE, Y TERRAZA CON LAVADERO.